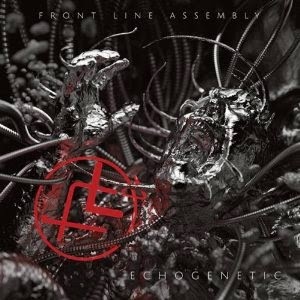 Front Line Assembly announced a remixed version of their 2013 album Echogenetic will be released shortly. The remixed version will be titled Echoes and includes remixes by Comaduster, Sonic Mayhem, Youth Code, Slighter, rhys Fulber, HECq, henrik Backstrom, Blush Response, Daniel Myer, Haujobb, Tweaker, Primitive race, Cyanotic, Necro Facility, Atiq and Enq. More details on Echoes including the official tracklisting and release date will be announced shortly.